A Fascinating Find! 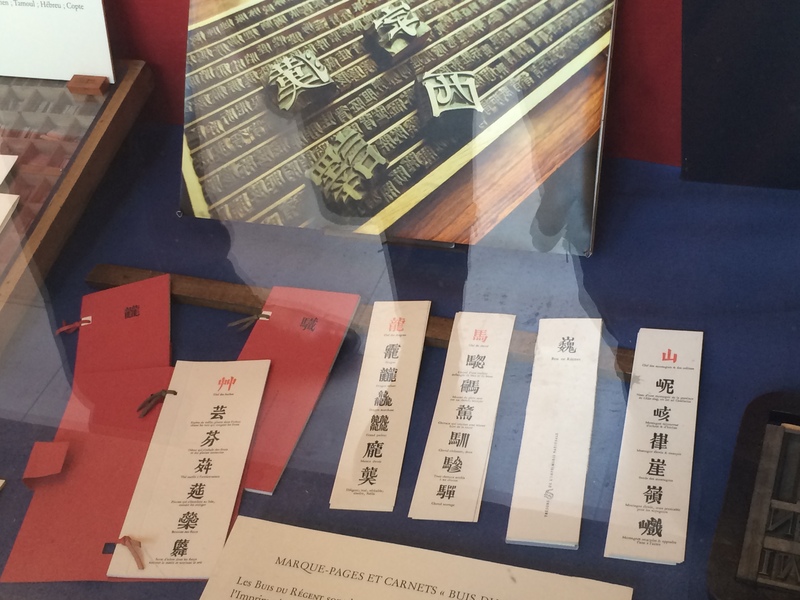 Chinese typesetting blocks in Paris! Just look at this photo which I took last week in Paris in a bookshop window! It was a display of typesetting (the way type used to be printed onto paper before the whole system went digital) in the East and the West. Behind the samples of woodblock printing, you can see a photograph of the very sort of blocks, carved with different Chinese letters (or pictograms), which were originally invented in China by Bi Sheng between 1041AD and 1058 AD, five centuries before Johannes Gutenberg invented the first printing machine, using the same moveable type printing, in the West! And guess how that invention travelled from China to Europe? Along the Silk Road, of course! You can read more about Bi Sheng and his amazing invention on the Meet Some Fabulous Chinese Heroes page above – just click on the link!